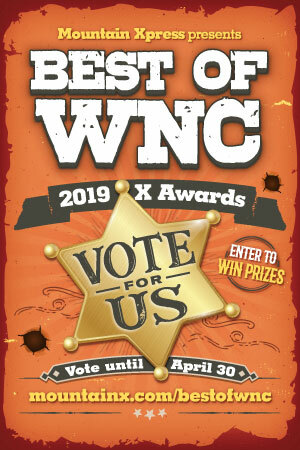 The 2019 Mountain Xpress “Best of WNC” poll has begun, and we would greatly appreciate your votes in the “Best Pediatrician” and “Best Pediatric Practice – General Medicine” categories! There are many categories, but you only have to vote for at least 30 to submit your ballot. It’s a great way to show some love to your favorite businesses in beautiful WNC! Your satisfaction and feedback are very important to us! Over the next few weeks, we will be sending out a link to our Patient Satisfaction Survey via FollowMyHealth (our online patient portal) after your child is seen for an appointment. The survey only takes about 2-minutes to complete. Has your child had their flu-vaccine yet? Our physicians, the CDC, and the American Academy of Pediatrics recommend that all children ages 6-months and up receive a flu-vaccine every year. Call our office at (828) 254-5326 or send us a request via your FollowMyHealth patient portal account to schedule an appointment! 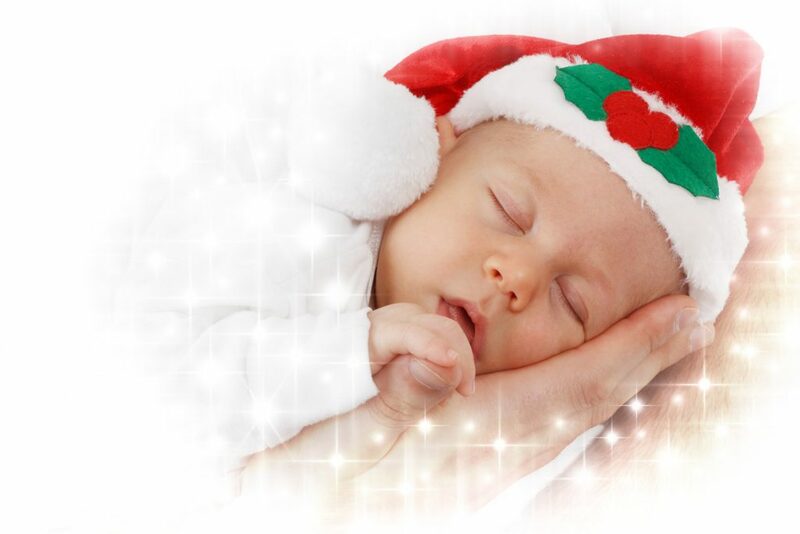 **Monday, December 24th: Open at 9:00am, NO drop-in clinics. Please call to schedule an appointment. **Tuesday, January 1st: Open at 9:00am, NO drop-in clinics. Please call to schedule an appointment. As always, our nurse-line is available 24/7, 365 days per year. Call our main office line at (828) 254-5326 if you need to speak to a nurse! 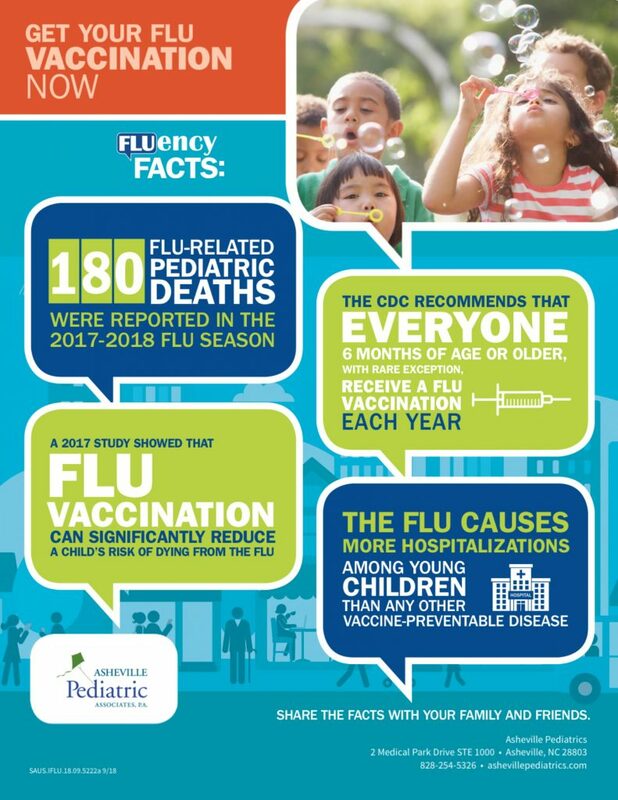 Our physicians, the CDC, and the American Academy of Pediatrics recommend that all children ages 6-months and older receive a flu vaccine every year. Our office will be CLOSED on Thanksgiving day, 11/22/2018. There will be no drop-in clinic on Friday, 11/23/2018, but we will be open for sick-visits. Please call Friday morning if you need to schedule a same-day appointment. If you need to speak to a nurse, our nurse line is always available 24/7, 365 days per year! Your satisfaction and feedback are very important to us! Over the next few weeks we will be sending out a link to our online ‘Patient Satisfaction Survey’ via FollowMyHealth (our patient portal) after your child is seen for an appointment. If you are seen for an appointment in our office, please keep an eye out for the survey link in your FollowMyHealth inbox! The survey only takes about 2-minutes to complete. Due to icy roads, we will NOT be having morning drop-in clinic. The office will open at 9am. Please stay safe and warm.